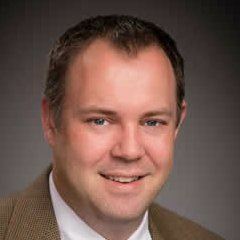 FEATURED SPEAKER: Matthew David from Kimberly-Clark, Senior Manager Mobile Center of Excellence at Kimberly-Clark. Matthew’s leadership is driving over a $1 billion in new revenue through digital channels. He is a driven leader with a focus on exposing new business opportunities and leveraging global teams to deliver. Matthew believes that data provides a clear understanding of the consumer needs. Matthew was previously with Lochbridge, where he led the Mobile and Digital Innovation team to develop solutions such as the GM OnStar program (including IOT and in-car solutions), Dole Fresh Fruit’s Digital Transformation, and led the Mobile Center of Excellence to deliver solutions that run on iPhones, Android devices, BlackBerry and Windows’ devices. Before working for Lochbridge, Matthew led the mobile strategy implementation for MillerCoors and also worked for a mobile startup company, TheAppBuilder, where he led technical sales. Matthew is a graduate from Sunderland University, UK, and teaches Masters classes for the Web & New Media program at Academy of Art University. He has published 12 books that have been translated into half a dozen languages on subjects including Flash, HTML5 and Mobile App Design & Development.